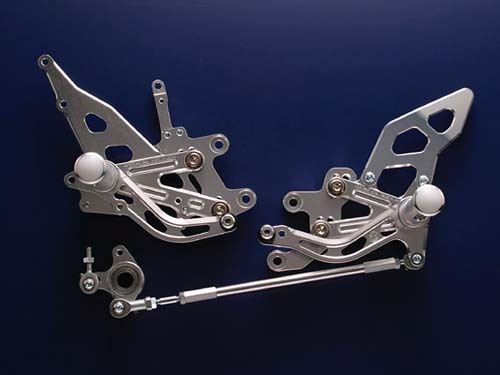 Brand New Moriwaki Engineering Rear Sets for Honda 06-07CBR1000RR. Mfg parts number is 05060-201C6-00. Very light weight aluminum construction. This kit offer four aggressive riding positions(1:Back:15mm / Up:15mm or :25mm / 15mm or :15mm / 25mm or :25mm / 25mm) compared to stock unit, along with shift pattern(stock-reverse) adjustable function. You are able to retain stock rear brake switch without additional parts.